RANDOM THINGS OR A WRITER & A WARRIOR? Hello everyone! My name is Angela J. Townsend. I was born in the beautiful Rocky Mountains of Missoula, Montana. As a child, I grew up listening to stories told by my grandparents, ancient tales and legends of faraway places. My childhood allowed me to be imaginative, to learn the power of words, and to learn that words are living things and how we choose to use them could have a tremendous impact in our world and on others as well. Sadly, not everything in my past has been an ideal fairy tale. An unexpected tragedy presented an opportunity that changed the course of my life. 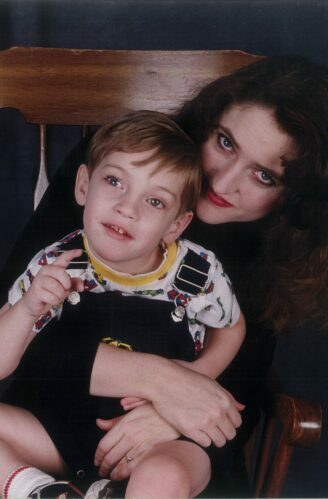 I started writing when my youngest son was diagnosed with a Retinoblastoma. A cruel form of eye cancer that causes blindness. Writing served as an escape. I wrote to find peace and to find hope for my son, and to create our own adventures far removed from the cold atmosphere of the hospital. While employed as a paralegal in a busy law firm, my writing career took off. I was able to give away hundreds of signed copies of my novels to the Ronald McDonald houses of America and other organizations for sick children around the globe. Today, I am a full time filmmaker and a traditionally published, award-winning author. I am fortunate enough to be a member of the Authors Guild and to be represented by the former Vice President of Paramount Pictures, M. Kenneth Suddleson. Exactly a year ago a movie based on my novel, The Forlorned was released worldwide. As a young child I spent my young years in a remote fishing village in the wilds of Alaska. That experience shaped my novel, Amarok. The ocean and Alaska will always be a part of me. Friday the 13th has always been my lucky day! I’ve always won money on that day: raffles, contests, and other events. I was born just shy of Halloween—maybe that’s why I love writing spooky themed books so much! After becoming severely allergic to makeup, I developed my own all natural cosmetic line which includes a natural hair dye and soap. Cars terrify me and I’m even more afraid of flying. My favorite food is popcorn which is great because it goes along well with my motion pictures! In 2018 I won a notable trademark lawsuit over my book and movie title, The Forlorned. The case ended up in the US Supreme Court, and winning freed me from years of harassment and “Trademark Trolls.” I hope that my case will make it easier for other authors who undergo similar legal battles. Last summer I formed Authors Unite Against Bullies. The organization strives to help artists who are being bullied or are victims of frivolous lawsuits.